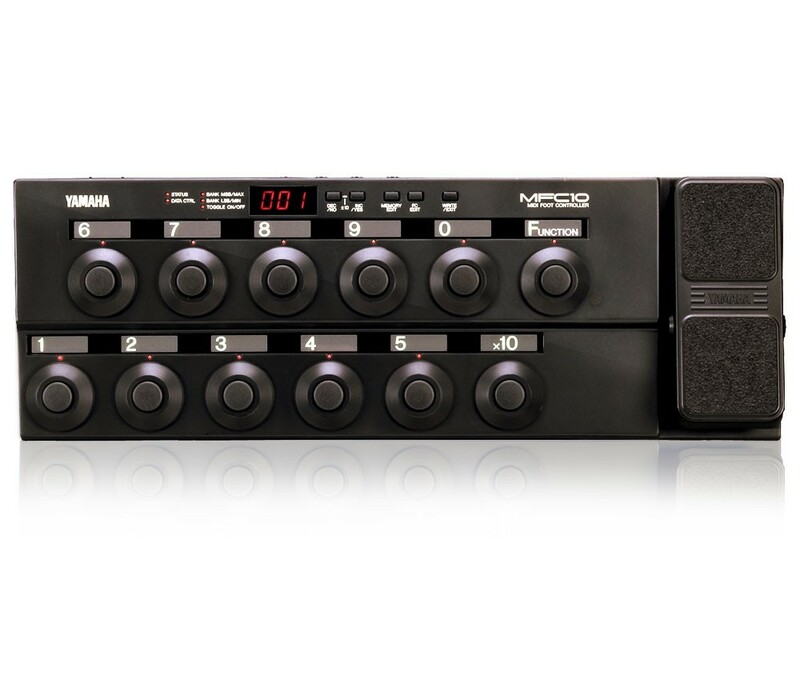 If you play "live" and need to automate anything with your Motif ES, or Motif XS, the MFC10 is a weapon you will want to add to your arsenal. It adds functionality and “hands-free” operation to your stage rig. The MFC10 is like a Swiss-Army knife MIDI device... it can do so many things. The better your understanding of MIDI the more possibilities you will dream up. Your settings will remain in memory of the MFC10. You can back up your MFC10 settings by bulking the data to the Motif ES or Motif XS sequencer and storing that data to SmartMedia or USB device. The MFC10 is one of those MIDI devices that it is impossible to tell you everything that it can do. You have to have a ‘MIDI-need’ and the MFC10 can probably do it for you. It is a true Power User’s utility device. If you perform live the MFC10 can add much functionality to your keyboard. The MFC10 was designed for users who need to change complex setups yet keep their hands free to play their instrument. This is why it is already very familiar to MIDI Guitarist (G50) and to MIDI Wind Controller (WX5) players. Keyboard players can also use the MFC10 for hands-free operation of their synth. The unit features twelve switches and a sweep pedal. In addition to this there are jacks for four optional pedals. You can plug in FC4, FC5 (momentary footswitches) or FC7 (sweep pedals) in any combination. The jack will ‘know’ what kind of pedal you have plugged in (use only genuine Yamaha foot pedals for best operation and reliable results). It is a highly sophisticated tool and can be customized so that when you are on stage you can recall any setup no matter how complex. The theory of operation is to preset the MFC10 in advance and use it to recall your setups. Programming is done ahead of time and you are provided stickers so that you can label the footswitches, as necessary. Programming the MFC10 is like writing in code - because you are writing in MIDI coded commands, but once you have locked in what you need it to do, a press of a footswitch recalls it all. This is why we call it the Swiss-Army knife of MIDI controls - because it can do most anything. Check out the Consoles and Controllers Section in Alan Parsons' Art & Science Of Sound Recording series. A stream will cost you just 99¢.